Fall is Here — See What’s New! It’s officially autumn. 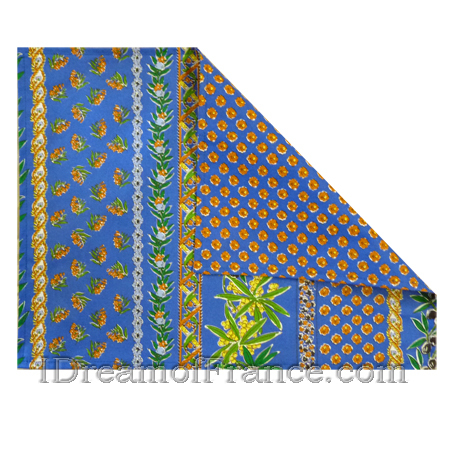 We thought it was a good time to show you what’s new in our shop.Visitez I Dream of France to find more. As always, orders of $75 or more ship free! (Alaska and Hawaii pay $10 extra.) Don’t forget we ship to Canada! Below are some new items…more selection on our website and in our Tustin boutique! Available in two new colorways. Practical, beautiful. 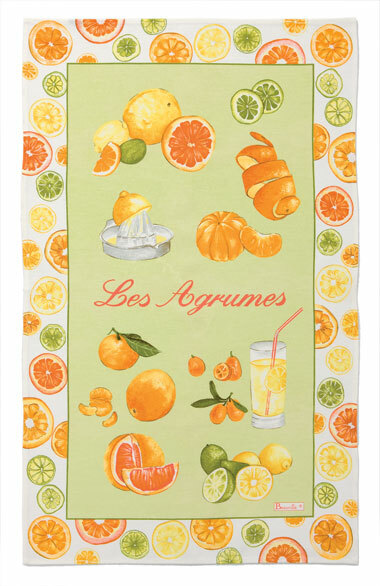 Beauville Les Agrumes (Citrus Fruits) Tea Towel. Each Beauvillé towel measures approximately 20″ x 31″ and is made of 82% cotton and 18% linen. 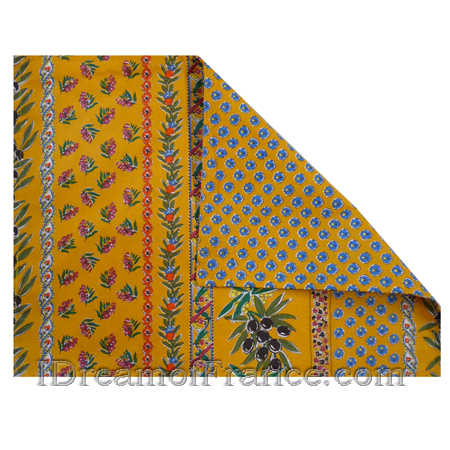 The addition of linen fiber makes a beautiful base for printing. The design is crisp and the colors pop! Hand printed in France. 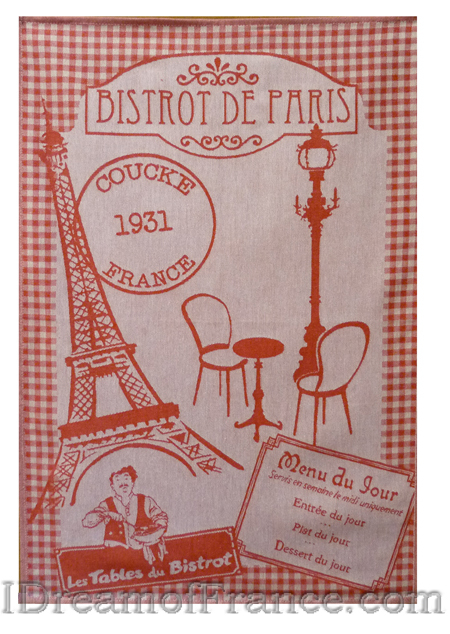 Coucke Bistrot de Paris French Dish Towel.This red and white towel measures 20″ x 30″ and features a detailed illustration woven into the towel with a Parisian bistro theme. 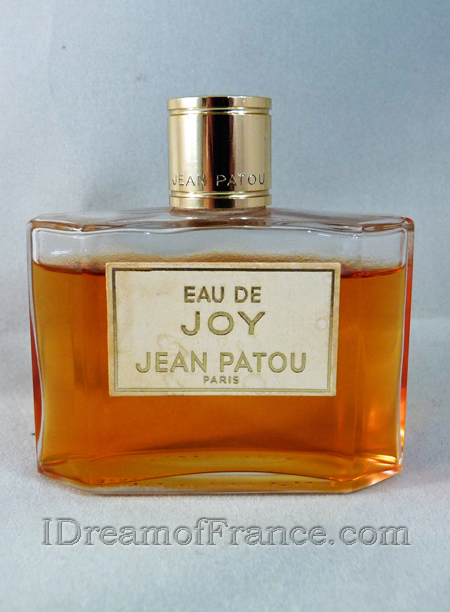 This Eau de Joy by Jean Patou Vintage Perfume Bottle is one of a kind. The beginning of summer means the end of the school year. We thought we’d share some French gift ideas with you for the teachers in your life. Visitez I Dream of France to find more ideas. Below are some gift ideas…more selection on our website and in our Tustin boutique! A practical item everyone needs, and suitable for a man or a woman. Show your love for the city of lights wherever you go with this beautiful Eiffel tower iPhone 4 protective case.